Schoolchildren in Kent are being given role-play equipment as part of a road safety scheme run by the mother of a girl who died in an accident in 2000. Jade Hobbs was eight when she and her grandmother, Margaret Kuwertz, 79, were killed on the A249 at Detling. The Jade Appeal is donating Walking Bus tabards and lollipop person outfits to pre-school schemes and primary schools. Jade's mother, Caroline Hobbs, said: "It's designed for the children to have fun and to learn road safety." 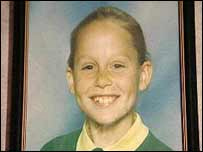 The accident happened on 16 December, 2000, as Jade and Ms Kuwertz were crossing the busy A249, which links the M2 and M20, to go to the local shops. 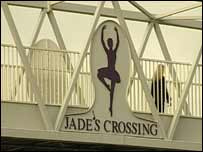 The campaigning and fundraising that followed led to the Jade's Crossing bridge being opened over the road. The latest initiative means the amount of money raised by the Jade Appeal towards road safety schemes is £35,000. The kits were presented to representatives of the playschemes on Saturday. "There is jumbo chalk so that children can do their own road markings, and activity sets with traffic lights and lollipop signs," said Ms Hobbs. "Every day you look in the newspapers and there is somebody who's lost a loved one on the roads, and it breaks my heart because I know what those people are going through." It is the sixth anniversary today of the Jade Appeal being set up.